Hope you don't mind an email from the blue, esp from the UK, but I looked at the US Wayfarer site and saw your jiffy reef. I have recently (about six weeks ago) acquired 7893 Impulse. As you might guess, she's a MkII grp of 1985 vintage with a C section Proctor mast and boom. There were no slab reefs in the main, and upon the urging of my better half, I have asked a sailmaker to put two reefs in. Now I am scouring the net for the best way to arrange a hook at the gooseneck and reefing lines, etc. for the clew. 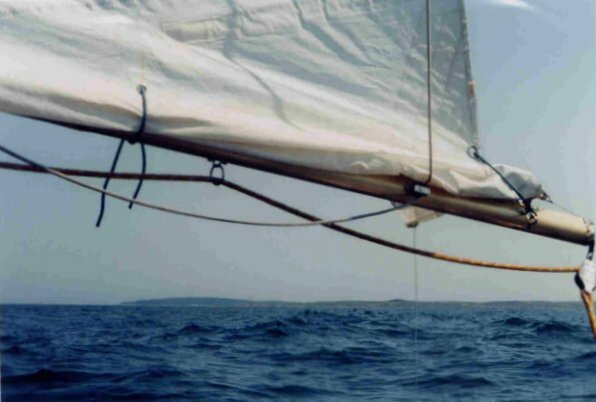 The detail in the photo of your jiffy system is a bit difficult to make out at web resolution, plus the flap of sail covers the main interesting bits. Do you have a higher res picture or a diagram that you could email to me? I am on broadband so receiving is no problem if you have the bandwidth to despatch such a beastie. I'm always glad to hear from a fellow Wayfarer and especially a Brit. Margie and I have many friends in the UK. I did a quick search through a couple of stacks of photos to see if by accident I had a picture that shows my boom end reefing set up. Sorry, but I didn't come up with anything. So here is what I've got for you as of the moment. 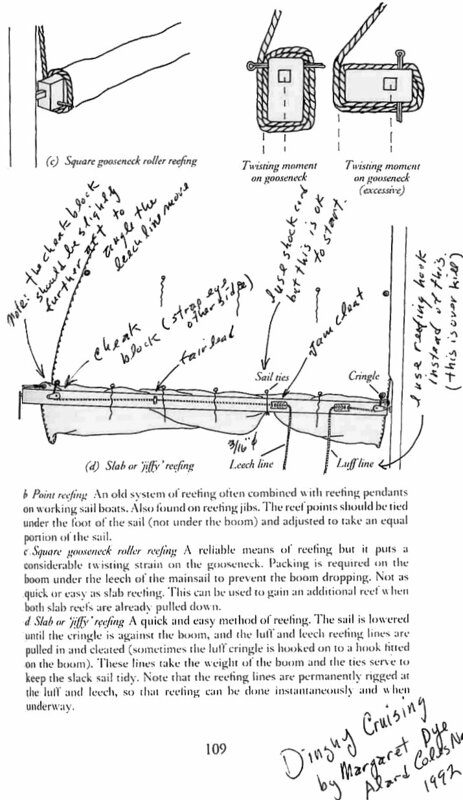 A copy of a diagram out of Margaret Dye's book where I've annotated my suggestions regarding jiffy reefing. If this isn't entirely clear to you and leaves questions, feel free to follow up. Additionally, three more copies of reefing photos, albeit some you have already seen on the web. 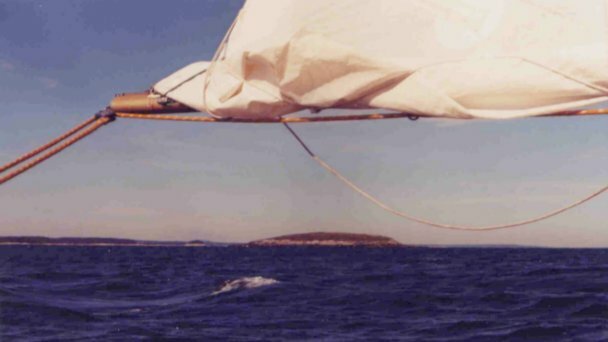 A photo of Blue Mist reefed in the water which may of help and a photo of my luff cringle reefing hook. 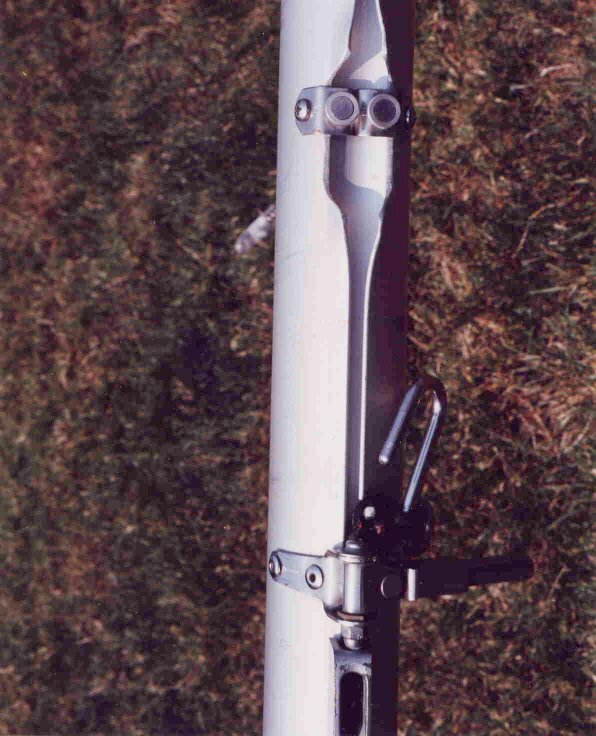 As to locating the cheek blocks and strap eyes at the end of the boom, my recommendation is to hoist the sail and then mark the boom for placement. 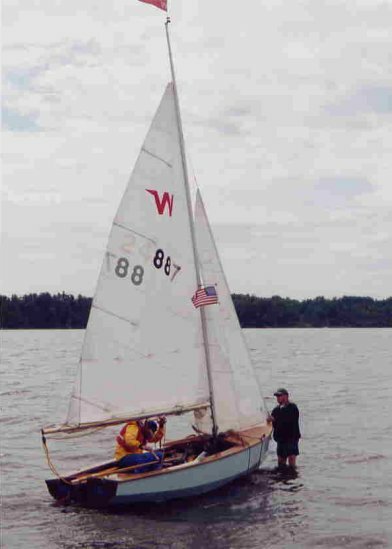 The clew lines need to slope aft slightly in order to tighten the foot of the sail when hauling on the line, but not too much, or it will be difficult to draw the sail down tight to the boom.